Alignment Vlog – Episode 1 – Best Now Ever! I invite you to align with the frequency of these statements to experience what’s there. I am grateful for: The ability to choose differently that which best and highest for all concerned. The power that I already have and all I have already created – it is all mine now because I am the essence of it all. There is nothing I lack and there is nothing I can not experience for I am limitless in my power to experience from this point of awareness and expand. 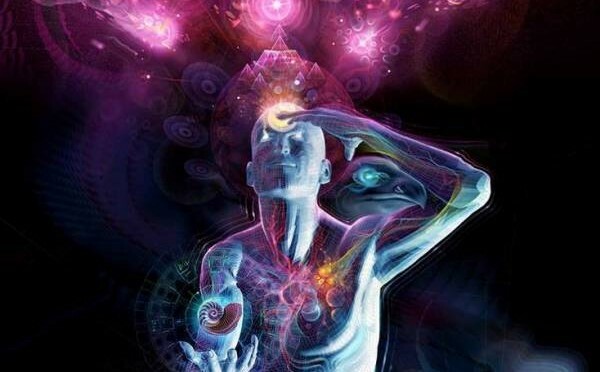 I am already having it all, choosing it all, creating it all and I am simply expanding my awareness into the depths of my power, the limitlessness of my being, and the interconnectedness of my abilities. Yes. All of it is mine. All of it is me playing out the divine play. For my enjoyment. Yes. The tragedy is an illusion just as the victory is. I choose which to enjoy without resistance and with complete acceptance. I accept it all as mine today. And so it is. What would make today great? Staying in the now and knowing that it is all unfolding exactly as it should be and that I am creating it all for my enjoyment because I choose to enjoy it / accept it all and feel the bliss instead of resist. Yes. And so it is. 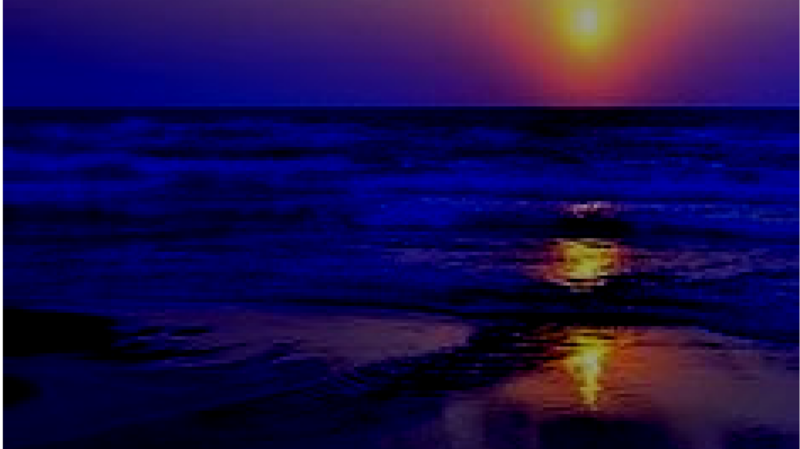 I AM: the essence of all that is and I choose now to be that which I am here to be: the perfect extension of the divine oneness unfolding at the perfect timing and realizing exactly what needs to be realized, when it needs to be realized in the flow of the unfolding becuase I choose so. And so it is. This is the best now ever. Because I make it so. I choose for it to be so. 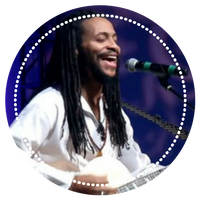 As always, check out & join us for upcoming events at www.johnstringerinc.com/tour/! What if there is a better way to live a fulfilled life? Sometimes, living a life committed to spiritual development can be challenging when you aren’t creating the life you desire. However, what if there was another way to fulfill your life’s purpose and live in abundance? 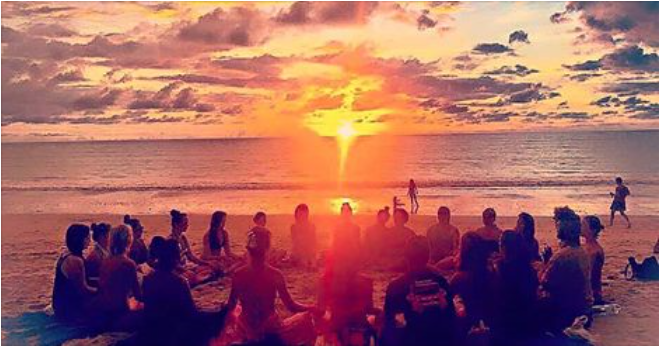 What if there were another way to enjoy the fruits of the law of attraction and spiritual laws that doesn’t require you to control manifestation based on your likes and dislikes? What if there was another way to live a life of beauty and divine love and light without requiring you to suffer? That way is complete surrender to what is now. that way is complete surrender to the divine will that is already creating everything you need in this moment. That way is letting go of your desires and realizing that the will of the divine is the ultimate fulfilment of your every desire. That way is to ask that the divine will be done and aligning your will from moment to moment. If you can realize that nothing needs to be changed from what it is now and ask what the divine would have for your life you will see that it is far greater and much better than anything you could desire to the contrary. It takes time and patience with yourself to do this. Yes, time is an illusion but it is what you experience in this form world and though you are not limited by it, for now, it is the route in which you can surrender to break free of the perceived limits of time and space. By surrendering to the divine will for your life, you will experience the journey you came here to experience in a profoundly fulfilling way. Letting go of resistance to what is is the first step. Surrender to the divine inspiration that you receive once you are no longer resisting is the next. Align from moment to moment and let the divine guide your way. You will then understand the intelligent, loving design of life and fulfil what you came here to do, be and have. All is well and always is. 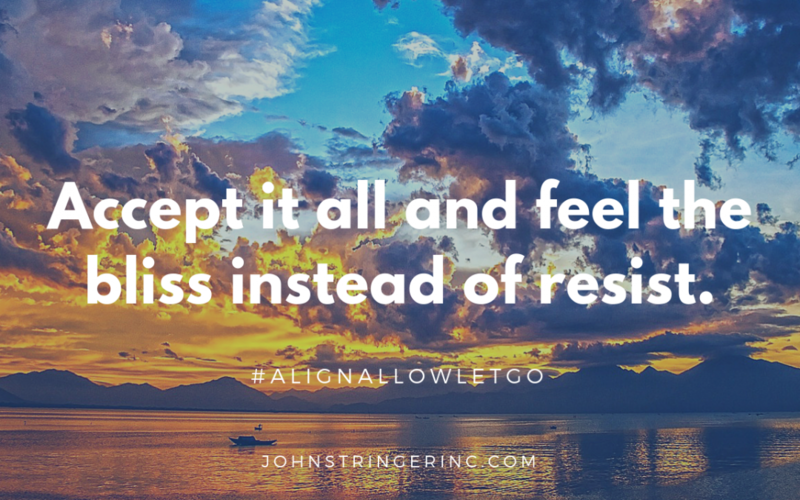 Thus, anything that is in your awareness that you resist can be accepted and you can let your resistance go so you can feel into peace, love and joy. By letting go, you can fill into all the bliss that is here for you. And so it is. I’ve been going through some intense emotional healing. It’s been a journey over the last 12 years that has taught me to love myself in a way that is healing. I’ve learned to embrace emotions that have been stuffed away deep down inside. They get triggered when something happens and I interpret it as if it were similar to what happened in the past. When I felt the emotion and the pain in my body, I used to push it away. Now, I’ve learned to let the emotion arise without judgment and look deep into it to find “where have I felt this emotion before” in my past. I go back and find all the different places in my life I’ve felt this emotion and I remember the instances as far back as I can. I let the related thoughts arise and speak out what I’m remembering to help make the connection in my conscious mind. These thoughts reflect hurts and questions of what I don’t understand – thoughts and questions behind the emotion. I then ask for correcting guidance from the divine and let the divine / the spirit of love /God, or the holy spirit, speak to me and determine / discern the lesson I need to see. This is a correction in my perspective that allows me to feel relief, love and peace. As I do this, I feel the heavy emotions release and energy of a higher vibration sooth my body, mind and soul. There are typically tears involved, before the healing and after. What’s interesting is I realized I learned to stuff those feelings away via well-meaning conditioning. 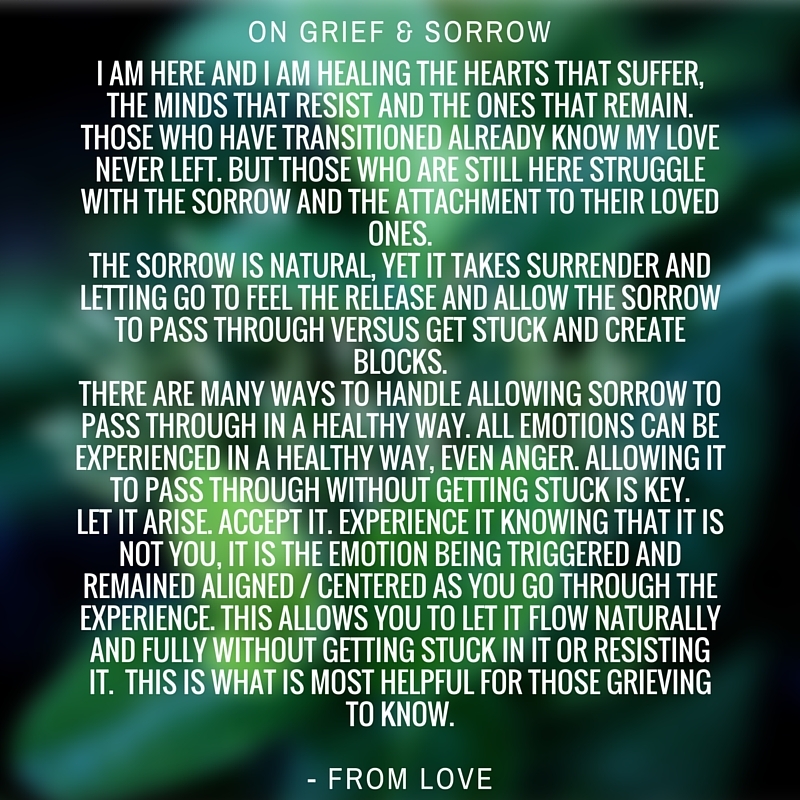 I’ve taught my children to do the same but I’m now teaching them how to navigate these emotions to allow them, bring forth the disconnect and invite correcting wisdom of the divine in to shift perspective. To break the blocks. To heal the wounds. This process is part of what the song “Accept it All,” from my new album, “Limitless Light & Love,” is about. It’s a song that invites us to feel our emotions, feel whatever comes up – internal and external – in any moment… accepting it without judgment. Knowing that all is well. That sometimes we have to go through what feels like pain to birth a new way of being. Our lives, our emotional systems.. everything is intelligently designed for our benefit. To help us shift into a place of uncertainty, fear, hurt and tension to relaxation, peace, knowing and bliss. To joy. Pick up the album, “Limitless Love & Light,” here. I started reading a classic book called “How to Win Friends and Influence People” by Dale Carnegie years ago but I never “got it” at the time, so I stopped before finishing. I picked it up a gain this year and I was shocked to learn that I’d been so “wrong” about myself and human nature – and how best to love people in simple ways. See, I’d spent the past 3 years (and even longer) doing the opposite of some of the key best practices this book shared b/c I thought the opposite was best… and in fact, it was best for me to be that way, but not for the reasons I thought. For as long as I can recall, I prided myself in being honest and tried to be as efficient and effective as possible plus I’d help others improve by calling them to the same standard. The problem is the last half of that sentence. For me, calling others to the same standard meant showing them what they were doing wrong and how to correct it. So, yes…. I was that guy in my band, at work, at home, wherever – always willing to show someone how to improve by “constructively criticizing” them… showing them what they were doing wrong as directly as I could and explaining how to fix it. Know anyone like that? Do you enjoy spending time with them? lol I’m actually grateful I was that person in the past, and I’ll share why. 1. “Don’t criticize, condemn or complain.” People don’t like it and it often receives the opposite response of what you’d hope for. So, what do you do instead? Carnegie offers what I consider a very loving alternative, explaining “…instead of condemning people, let’s try to understand them. Let’s try to figure out why they do what they do. That’s a lot more profitable and intriguing than criticism; and it breeds sympathy, tolerance and kindness. ‘To know all is to forgive all.’ ” Now that’s love! This is just the starting point and the rest of the book builds from here to share 8 more principles, the second of which I share below. 2. “Give honest and sincere appreciation.” Make giving appreciation and gratitude a new way of life. 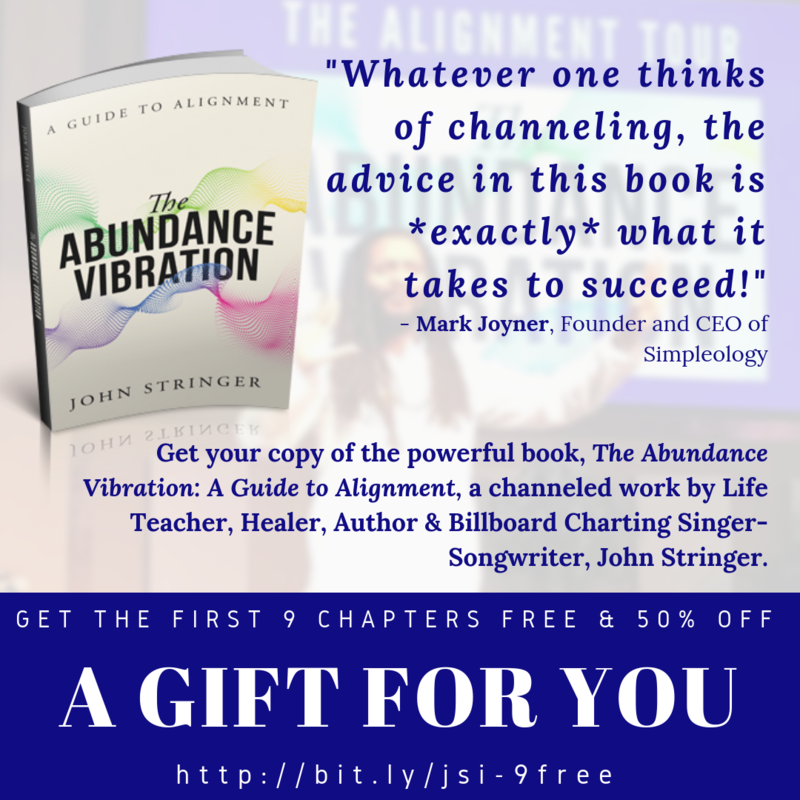 What I found so amazing is that by changing my approach and using several other principles in the book, I could sincerely encourage, praise and inspire people, which truly turned around some of the relationships I’d unintentionally “soiled” at work. Learning how “wrong” I’d been also gave me a chance to see first-hand the value of these principles and I also use them with my family to break the old habits of criticism and instead, encourage, appreciate and inspire. I view these as simply new ways (at least new for me lol) to be love to those around me and hope you find them as useful as I did. You can get a free PDF copy of “How To Win Friends and Influence People” online here and learn all 9 principles. Thank you life for the many ways to love and be love. Thank you for the new ways to show those I am around day-to-day kindness, appreciation and compassion. Let the learning continue!!!! 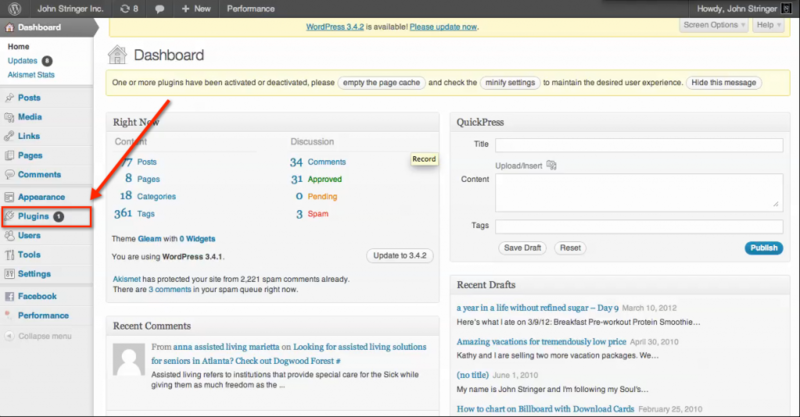 Once you’ve logged in to your wordpress site (typically via www.yourdomian.com/wp-admin), you’ll see a view pretty similar to the screenshot below and you can click the “Plugins” option. 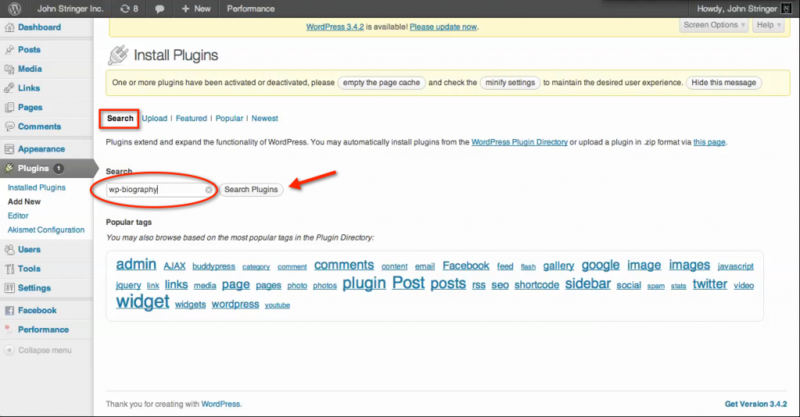 Now that you’ve made it to the “Install Plugins” page, make sure you’re on the “Search” area that looks like the screenshot below. 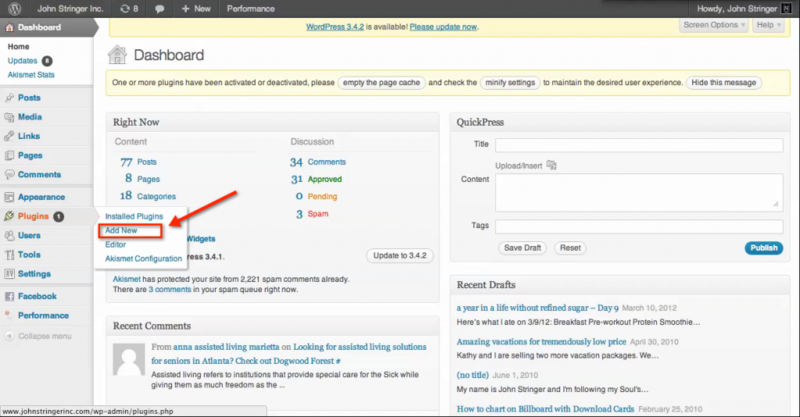 Then, simply type in a keyword (word, phrase, name of a plug-in, etc.) 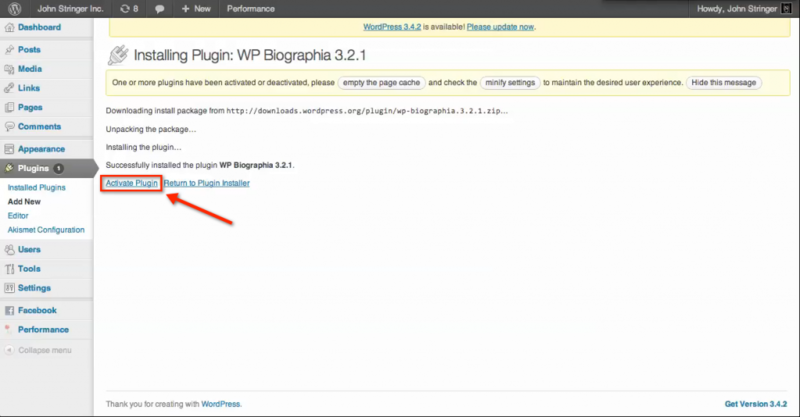 in the search field and click the “Search Plugins.” In this example, I use wp-biography b/c that’s the plugin my friend asked me about. 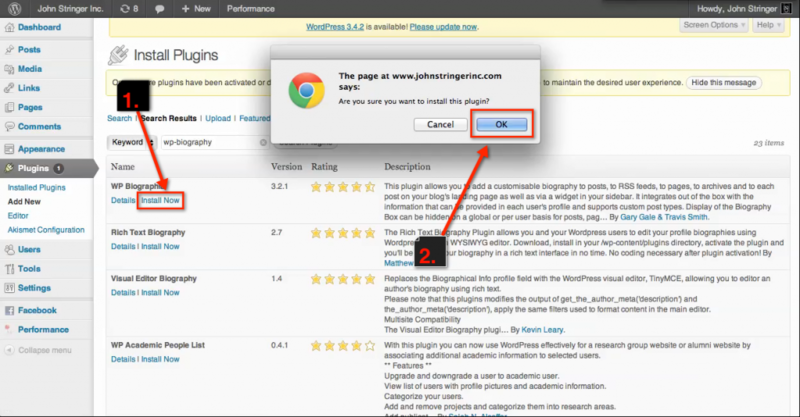 Once you’ve found the right plugin in the search results, click the “Install Now” hyperlink and WordPress will install the plug-in for you. Finally, active your new plugin and you are set. Keep in mind that some plugins have settings you may need to update/edit to get the results you desire, while others may work just like you want them to as soon as you activate them. Whatever the case, if you find you don’t like a plut in, you can always deactivate and/or delete it! Let me know below if this information was helpful to you!